The front, rear, insides without PSU/disk drives, and then with. The Performa 600 was introduced in September of 1992, a product of curious design philosophy and perhaps unsound management choices. To explain the Performa 600, you need to know about two very similar Apple's out at the same time, the Mac IIvx and IIvi. The Apple Mac IIvi, IIvx and Performa 600 will have been on the drawing boards at the same time, but the Performa 600 was released one month ahead of the IIvi and IIvx. The IIvx, and Performa 600, are classic examples of some of the strange product decisions made around this time - they feature a 32mHz 68030 on a 16mHz bus. Odd, okay? 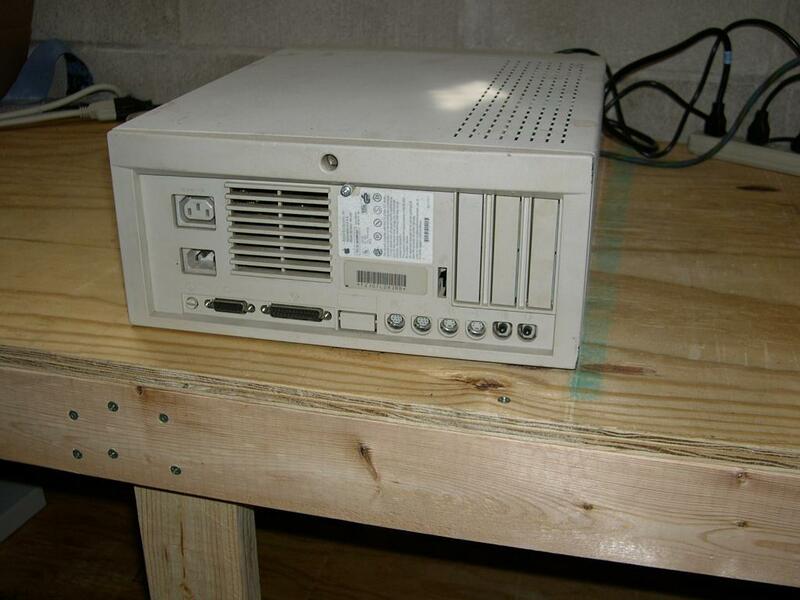 The IIvi comes in as being a IIvx/P600 with a 16mHz '030 on the same 16mHz bus, which was never sold in the USA. 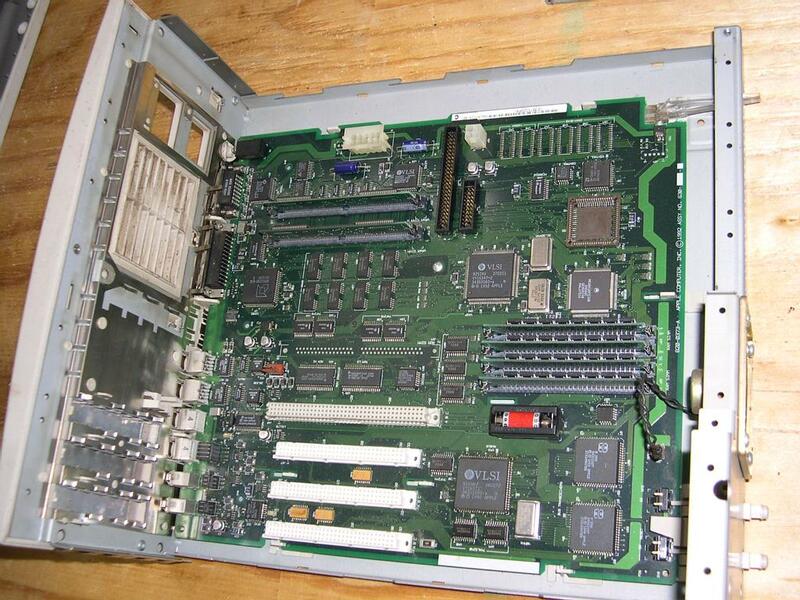 The IIvi and Performa 600 share the same motherboard, slightly different from the IIvx, the primary difference being that neither the IIvi or Performa 600 could use an L2 cache card in the Processor Direct Slot (PDS), although you can use various accelerators in it. Confused? You probably should be, what Apple was thinking at the time, goodness knows. Either way, the Performa 600 was crippled in this manner and put on the market. 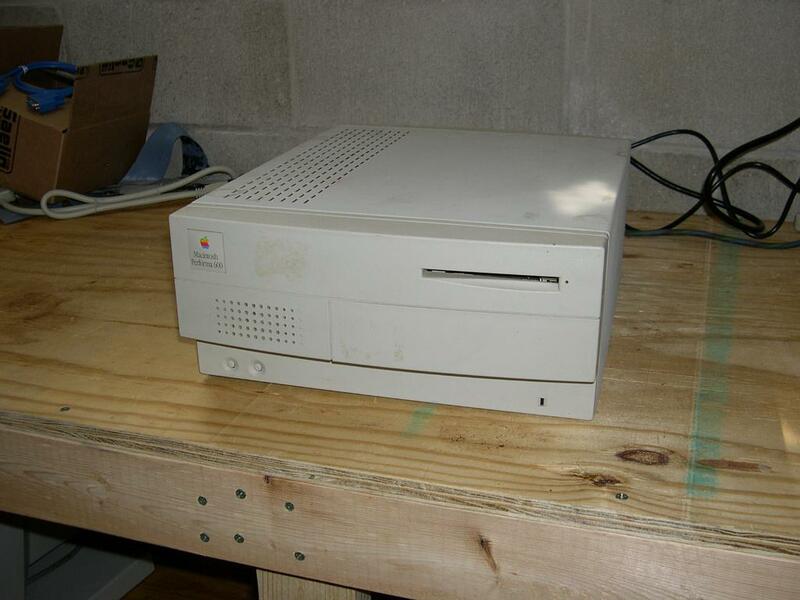 This Apple was the first to offer a built-in CD-ROM drive (In the Performa 600CD). The Performa 600 came with the standard Apple ports at the time (ADB, DB-15 video, audio, printer and modem), a 1.44MB floppy drive and a 160MB SCSI hardddisk. 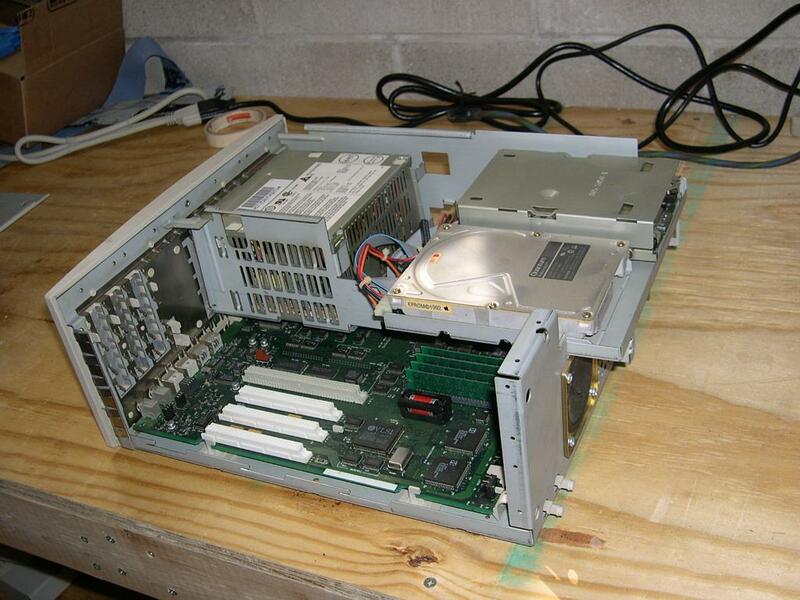 The 600CD had a 2x SCSI CDROM drive. The machine was discontinued in October of 1993.